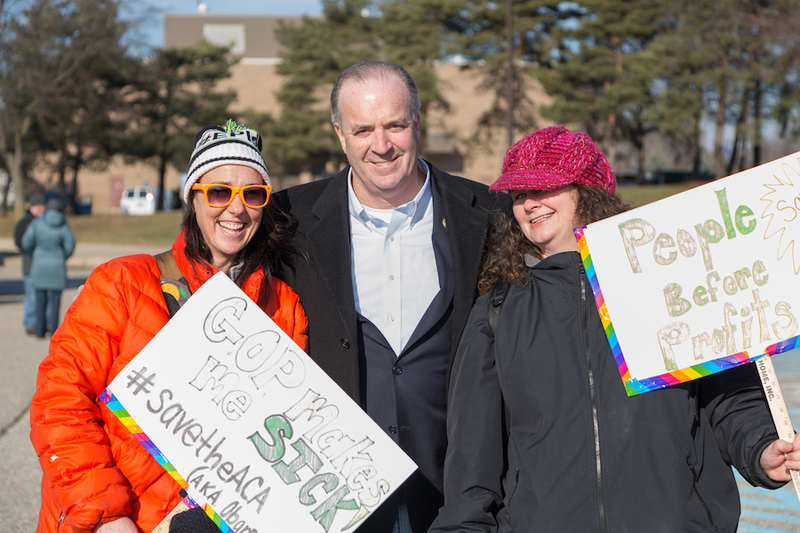 Congressman Dan Kildee refutes the lie Republicans keep pedaling in their scheme to shove their terrible healthcare legislation through Congress. A popular Republican talking point is the false notion that Democrats have not offered any suggestions for improving the Affordable Care Act (ACA, or Obamacare). That way, they can claim that the only way to fix the ACA is to repeal and replace it with their shoddy American Health Care Act (AHCA), which is not really about improving healthcare in America at all. Donald Trump has tried to blame Democrats for the lack of a bipartisan plan to improve the ACA. 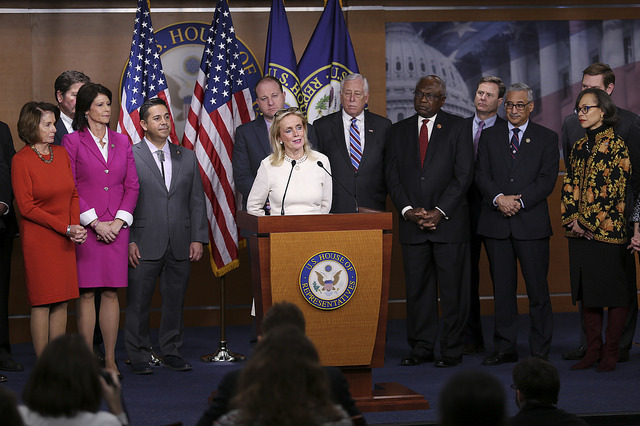 And the day the House voted to pass the AHCA, WILS radio host Michael Cohen stated in an interview with me that there had been news that Democrats had been discouraged from bringing ideas for improvement to the ACA to the House floor. “Almost every single day, Democrats push the improvements we think need to be made to the ACA,” Rep. Kildee says. Here are three major proposals Democrats have been trying to have heard by their Republican counterparts — to no avail. 1. Allowing insurers and the federal government to negotiate bulk prices with pharmaceutical companies to lower the cost of drugs to consumers. According to Rep. Kildee, Republicans have flatly refused to allow this, even though it’s come up over and over again. 2. Allowing younger people to buy into Medicare earlier. The idea is to let people choose Medicare as their primary insurance after a certain age, such as 50. As he explains, this will not only give consumers another option — and the improved pricing that comes from more competition, which Republicans claim to be for in their push for a “market-based solution” — but will also help strengthen Medicare. A larger, younger risk pool reduces costs for consumers and bolsters the program’s stability. 3. Improve the premium support the poorest people receive to buy insurance on the individual market. Rep. Kildee admits this would require additional resources, but since we all pay for each other’s insurance — that’s always been the case, long before the ACA and forever more — “we might as well pay in the smartest way,” Rep. Kildee says. “Most of the examples of problems with the ACA are in the individual marketplace, which is about 6% to 7% of people who get health insurance,” he explains. Another way to achieve the same goal would be to introduce a public option, such as Medicaid for all. Despite the claims of President Trump — who promised “healthcare for everybody” in the Republican plan — this idea is DOA with Republicans, despite the fact that it would insulate consumers from the unpredictability of the individual insurance market. Republicans have made it very clear that they don’t want to work with Democrats on healthcare reform, and the explanation is simple: They don’t care about healthcare reform at all. They only care about their political agenda and providing a permanent tax break to the very wealthy.